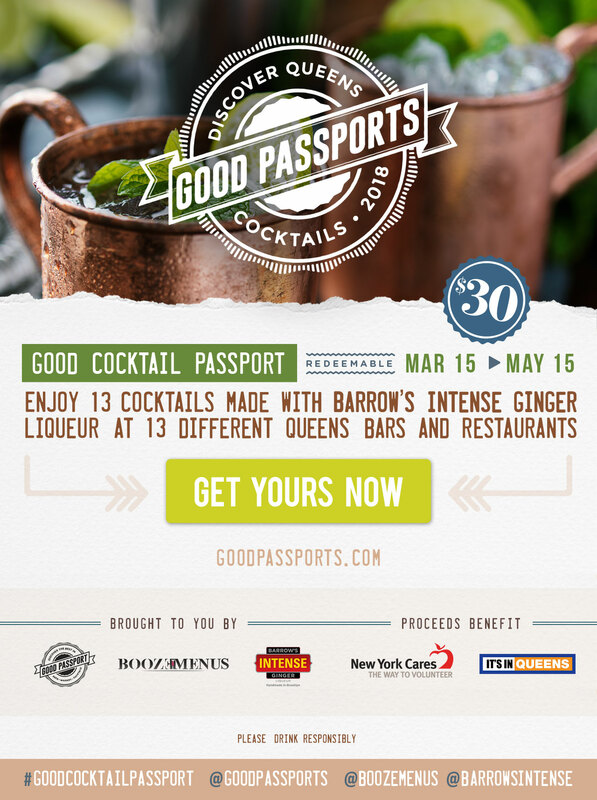 Good Passports, BoozeMenus, The Queens Tourism Council and Barrow’s Intense Ginger Liqueur present the Discover Queens Good Cocktail Passport which will act as a fundraiser for New York Cares, New York City’s largest #volunteer organization. By purchasing the Good Cocktail Passport, you’ll get one cocktail made with Barrow’s Intense Ginger Liqueur at each location. You can use the passport on any day, at any time from March 15, 2018 through May 15, 2018. 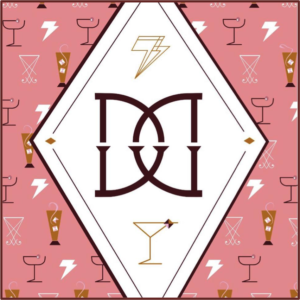 Each of the bars involved in the Good Cocktail Passport are participating in a contest to see which one makes the best cocktails and you get to decide the winner! At the end of redemption, you’ll get to vote for your favorite bar. When purchasing a Good Cocktail Passport, choose the location where you would like to pick up your Passport. Passports are available for pick-up from March 15, 2018 through May 15, 2018. Pick up your Passport at the location you chose any day from March 15, 2018 through May 15, 2018. Bring your Passport to each of the participating locations any day from March 15, 2018 through May 15, 2018 and choose one cocktail made with at least .5 oz of Barrow’s Intense Ginger Liqueur. Cocktail Selection: ‘Hot Honey Bee’ with Queens Courage Old Tom Gin, Hot Honey Syrup made with Hot Red Italian Peppers, Lemon Juice and Barrow’s Intense Ginger Liqueur. By purchasing the VIP Good Cocktail Passport you will taste 2 cocktails made with Barrow’s Intense Ginger Liqueur as well as 1 neat taste. Plus, meet Noah and Joe, the producers (IE the guys who make) of Barrow’s Intense Ginger Liqueur, as they’ll be on hand to talk about how they make this tasty liqueur. 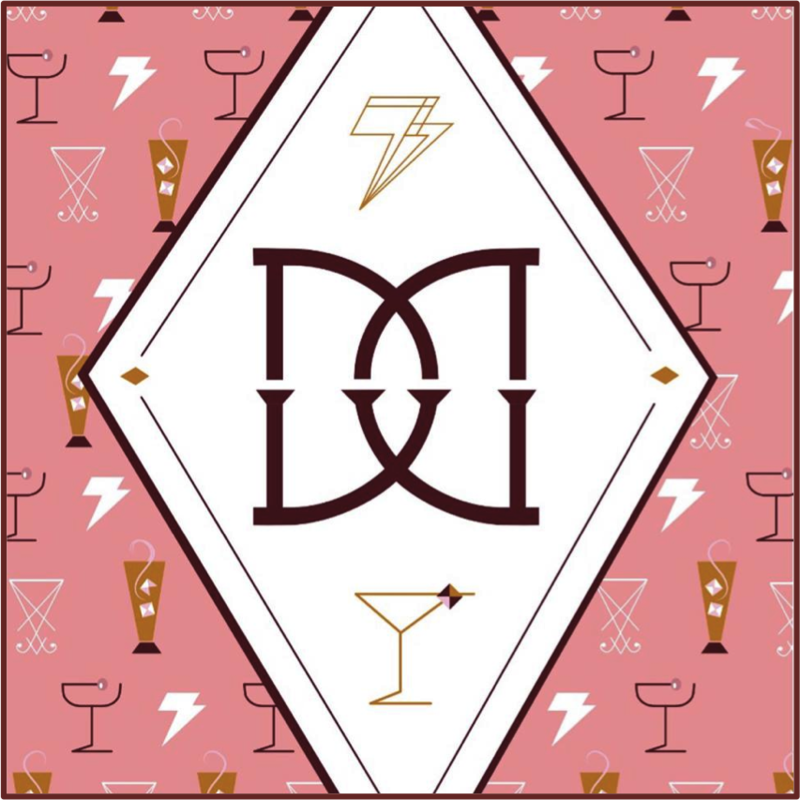 A very limited amount of VIP Good Cocktail Passports will be available. To obtain the VIP Good Cocktail Passport, you must choose the option to pick up at the kick-off event. Passports purchased to be picked at the kick-off event must be picked up that day at Diamond Dogs between 6:00 p.m. – 9:00 p.m.
New York Cares is the largest volunteer network is the city. Last year, nearly 65,000 New Yorkers made the city a better place by volunteering at nearly 1,300 nonprofits and schools – improving education, meeting immediate needs, and revitalizing public spaces. For more information, visit newyorkcares.org. The Queens Tourism Council promotes the world’s most diverse county through organized efforts by local businesses, cultural institutions and government. We foster economic opportunities, travel and tourism by letting visitors and residents know that — with great places to visit, eat, play and stay — It’s In Queens!